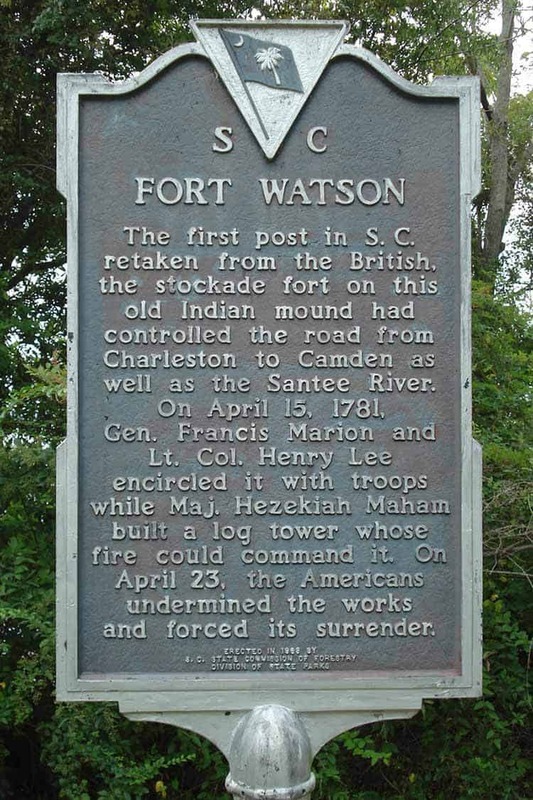 Continental Army forces under Lieutenant Colonel Henry "Light Horse Harry" Lee and South Carolina militia under Brigadier General Francis Marion besieged Fort Watson, a fortified British outpost that formed part of the communication and supply chain between Charleston and other British outposts further inland. The attackers, lacking artillery, were unable to make a dent in the fortified works, and failed in attempts to deny the garrison of a water supply. They then devised a plan to build a tower from which sharpshooters could fire into the fort's walls. 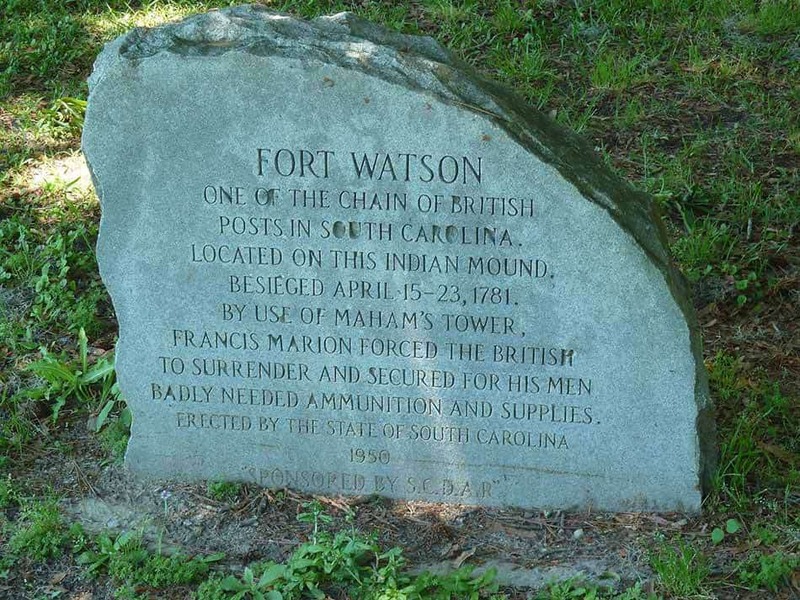 Fort Watson was once again attacked by the Americans on April 23, with the British forces unable to control the walls due to musket fire from the tower. Armies - American Forces was commanded by Gen Francis Marion and consisted of about 80 Soldiers. British Forces was commanded by Lieut. James McKay and consisted of about 120 Soldiers. Casualties - American casualties were estimated to be 2 killed and 6 wounded. British casualties were unknown. Outcome - The result of the Siege was an American victory. The Siege was part of the Southern Theater 1775-82. When Major General Nathanael Greene turned from his pursuit of Lieutenant General Charles Cornwallis to march toward Camden, he detached Lee to screen against a possible movement of Cornwallis in that direction from Wilmington. If this threat did not materialize, Lee was to join Marion's force and capture the British garrison at Fort Watson. The fort was named after the Tory leader Colonel John Watson. 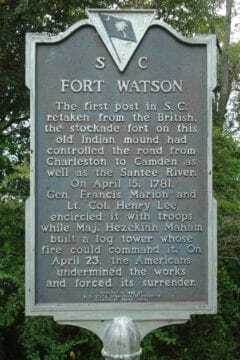 Fort Watson was a part of the British line of communications from Charleston, located 60 miles to the southeast. It was located on an Indian mound on the edge of Scott's Lake. The fort was a small but strong stockade that was surrounded by 3 rings of abatis, and sat atop an Indian mound. This tumulus was on the edge of the Santee River, and provided a piece of commanding terrain in the bare, level plain. It was between 30-50 feet high. Ft. Watson itself was defended by Lieutenant James McKay, of the King’s American Regiment, with 5 officers, 73 Provincials and 36 loyalists, with one cannon. One source speaks of some of the South Carolina Rangers and some of Watson’s Provincial Light infantry as being present. On April 14, with Lee's Legion, a company of Maryland Continentals, and one gun, Lee proceeded to join up with Marion's force at Black River. He only now had 80 men as the rest had returned home. On April 15, Marion and Lee, the latter formally under the command of Marion, laid siege to Fort Watson. Earlier in the same day, Lee sent Captain John Rudulph, with the Legion cavalry, down the Santee River to watch Watson’s movements. This left Lee’s own corps with his Legion infantry and the Maryland company of 100 under Captain Edward Oldham. Marion, during the Siege, was reinforced by a few men from Col. Abel Kolb, and by is end had 300. Marion cut off the forts water supply, but McKay was able to dig a well in the fort on April 18. Smallpox broke out among some of Marion's men, and a number deserted. After the call for surrender was refused, the Americans captured the water supply point on the lake, but the garrison dug a well. Unfortunately, the Americans did not have any siege artillery. Colonel Hezekiah Maham proposed building a type of tower. The tower was a prefabricated log crib, rectangular in plain, on which a protected platform was built for infantry to deliver plunging musketfire into the fort. From this point on, the siege tower was to be called the "Maham Tower." On April 20, after 5 days of construction, the tower was completed. On April 22, during the dark night, the Americans carried the tower to within range of the fort. On April 23, during the dawn hours, a company of Americans began to fire well-aimed shots down into the stockade. At the same time, two assault parties attacked the abatis. Being unable to defend the stockade without exposing themselves to fire from the tower, McKay had no choice but to surrender the fort to the Americans. The prisoners were sent across Black River towards Greene's depot at Rugeley's. The same day, Marion and Lee removed to Richardson's plantation in the High Hills of the Santee. By April 25, Lee's cavalry under Captain John Rudulph which had been keeping an eye on Watson had, re-joined Marion and Lee at Richardson's plantation. While at Richardson’s, Marion, who had been reinforced by men sent by Colonel Abel Kolb during the siege, sent Colonel Hugh Ervin and 80 men to Rafting Creek to prevent the loyalists from driving cattle. On April 24, Captain Ebenezer Finley, with a six-pounder, and Major Pinkertham Eaton, with 140 North Carolina Continentals, had been sent by Greene to join Lee and Marion at Fort Watson, but did not join up with Lee in time to participate. The editor to the Greene Papers notes: “According to a journal that one of the posts British officer’s kept during the siege, it was ‘"the cowardly and mutinous behavior of a majority of men, having grounded their arms and refused to defend the post any longer’” that forced the surrender. The officers and Provincials soldiers were paroled, while the “irregulars” (loyalist militia) were taken prisoner. A large quantity of stores and ammunition were captured also. The ammunition was particularly welcome to Marion who was frequently short of it. Marion reported losing 2 killed, and Lee lost 2 wounded. 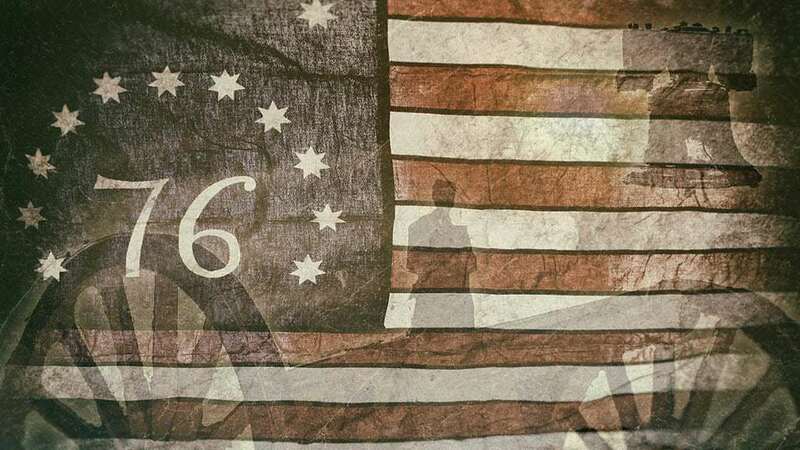 Lossing says the Americans lost 2 killed, three Continentals and 3 militia wounded, while McCrady gives the total casualties as 2 killed and 6 wounded. After the surrender, the fort was dismantled.